Two new trees have replaced plastic play equipment in the upper Ft. Myer Heights Park. The upper park is being transformed into a green space. New, higher-quality play equipment will be installed in the children's playground now under construction in the lower area of the park. The two new trees are straight and normal. That's ok. 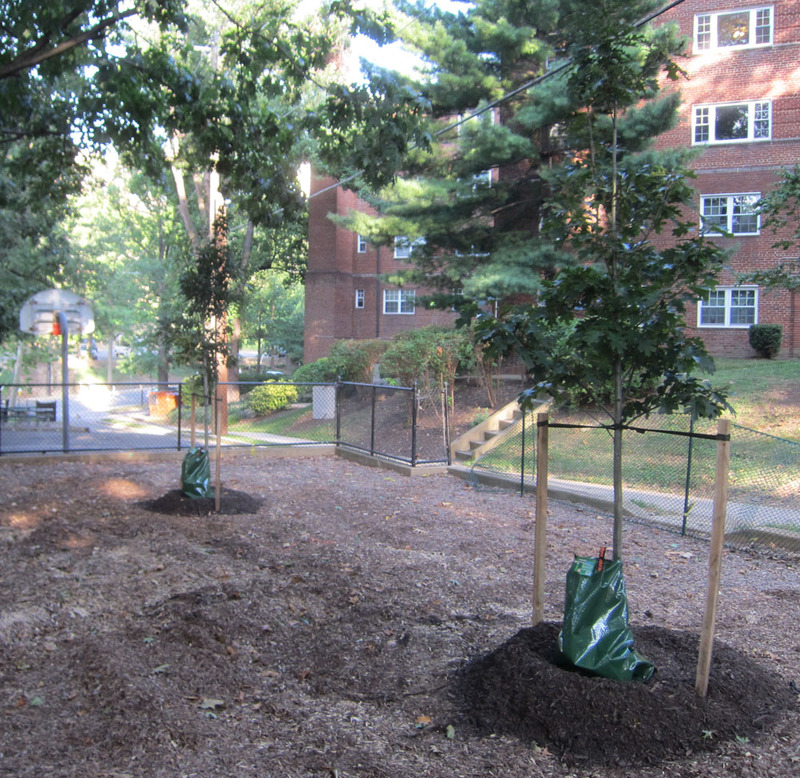 The new trees appear to be oaks, but they may actually be maples. Take a look and report for yourself. I kinda wish they had finished the park before yoinking the play area as this leaves a bit of a gap - a big deal for folks with kids I'm sure. It may be they needed these in based on the time of year?